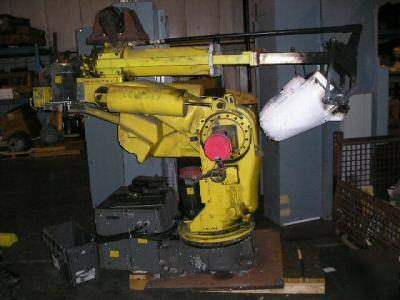 This is a Fanuc 420IF with an RJ2 integrated controller. Cables / Teach Pendant are included. 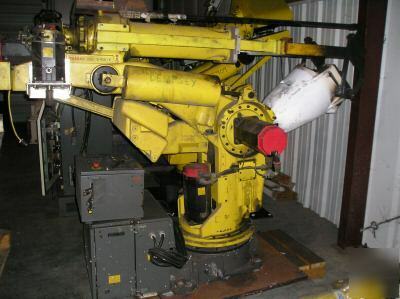 This robot was used in a foundry operation and is equipped with a ceramic label. The unit comes off the line in working order. Email any questions you may have - we will respond immediately.